Holden Special Vehicles, the luxury and high performance car company, today confirmed pricing and on-sale dates for the all new WM Grange at the Melbourne Motor Show. Managing Director Phil Harding revealed the car, equipped with a 307kw V8 engine, semi active ‘Magnetic Ride Control’ suspension, 19 inch wheels and a range of luxury appointments will be priced from $82,990. “This represents incredible value, for a limousine without a domestic competitor and a substantial reduction in price on the model it is replacing”, Phil Harding said. “We expect WM Grange to be available to the public from late April and to set a new benchmark for the Australian auto industry in a long wheel base high performance marque”. 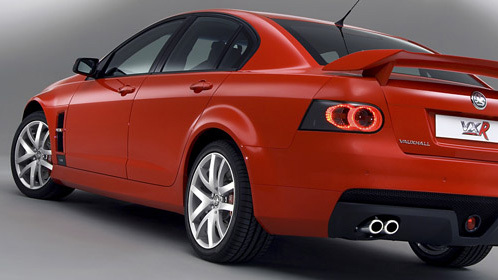 Holden Special Vehicles also welcomed an announcement from Vauxhall’s VXR division this week that a version of the HSV Clubsport R8 would be exported to the United Kingdom in 2007. “To be known as the VXR8, this is the first of what we hope will be a number of export deals around the world for our exciting new E series range”, Phil Harding said. “We’re delighted that Vauxhall are importing around 300 VXR8’s in 2007 and having attended the dealer launch in the UK last week I can tell you they were very enthusiastic about our new product”. “While we continue to set new records domestically, we are also working closely with Holden Export on developing new markets for the E Series and Grange around the globe”. Mr Harding said with a strong order bank for Grange, huge sales numbers across the Clubsport R8, GTS and Senator Signature and a new export push, 2007 was looming as another stellar year. “Domestically, February proved to be another individual record sales month with 357 retail deliveries across Australia and New Zealand.